★★☆☆☆ Be the first to leave a review! 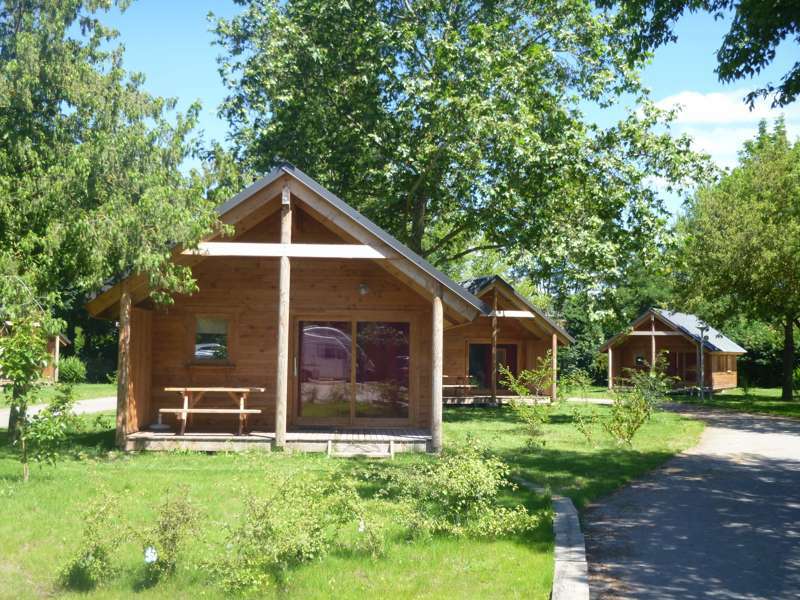 Camping de l’Ill Colmar is in a great location in the heart of Alsace that is ideal for a holiday stopover to visit Colmar and enjoy the surrounding countryside. A mobile home with a large wooden terrace that looks out onto the natural surroundings and allows you to savour a meal in the open air. This chalet sleeps up to six people and has a lovely terrace and a warm and cosy interior. Every country has its ‘Little Venice’. In fact, almost anywhere with a canal seems to be staking its claim. Given the right dusk lighting and a well-angled location behind a narrow boat, you’ll even find your photo of ‘the little Venice of Birmingham’ going viral. 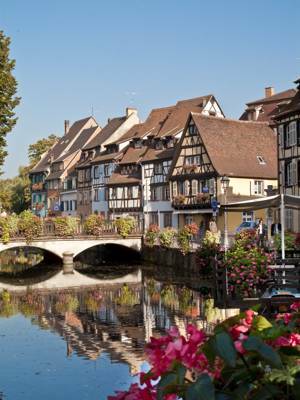 It’s no surprise, then, that the pretty town of Colmar can’t help but get in on the act. 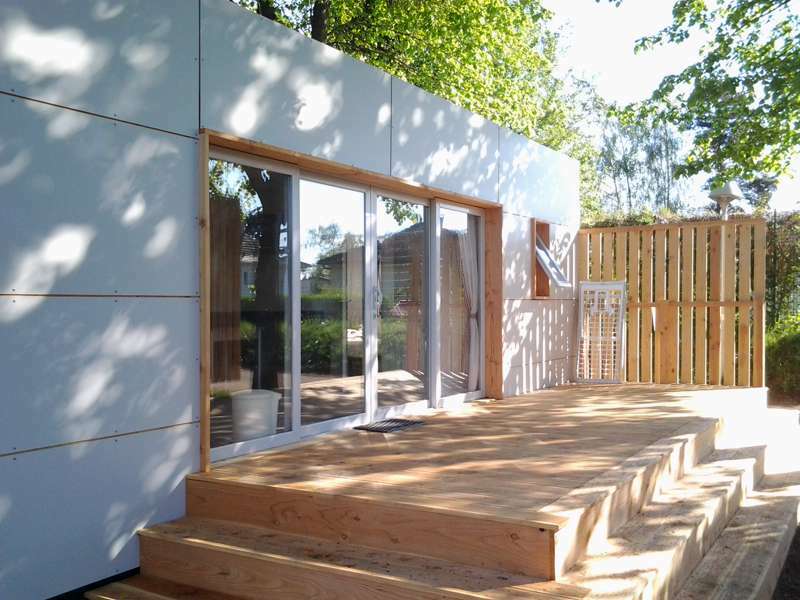 Unlike some spots, however, its river-woven, timber-house-lined centre is thoroughly deserving of the accolade. If you want a picture-perfect scene, this historic centre is the place to find it. For much of the 19th-century the town was, in fact, a part of Germany and has a rather unique culture as result, with the German language blended into street names and a pleasing mix of French and German cuisine… Not only is it the regional capital for wine but the local beer isn’t half bad either. It’s in the Horbourg Wihr district on the eastern edge of town that Camping De L’ill À Colmar is found; perched on the banks of a river. Despite being less than half an hour’s walk from the town centre, the leafy setting gives the campsite a far more rural feel. Pitches are spread among mature trees with the best of the bunch right on the waterside, so be sure to ask for one of these if they’re available. Pre-pitched safari tents are on offer, if you want a little luxury or simply don’t care for the effort of pitching your own tent, and larger pitches are available if you’re arriving as a group. Facilities abound: There’s a small on-site restaurant, a living room with books and board games, free Wi-Fi, a heated swimming pool and a water play area. Yet, while it all keeps family campers (and particularly children) happy, it’s the location that remains the winning feature. Colmar itself has a wonderfully compact and walkable centre, while canoeing on the local rivers and adventures in the Ballons des Vosges Nature Park – a vast mountainous region a few miles west – mean your never short of options. Camping de l’Ill – Colmar, in Alsace in the Haut-Rhin (departement 68), is just 2 kilometres from the town centre of Colmar (easily accessible using the cycle path). For latest availability and best prices for Camping de l’Ill Colmar, please use the Date Search above. 150 camping pitches spread across 12 acres. Heated swimming pool, paddling pool and water play area, a central lodge with internet and free Wi-Fi, a playground, boules pitch, table tennis, table football, volley ball court and indoor board games. 'Camper's corner' shop for any essentials you've forgotten, a library corner and tourist information in reception. snack-bar (with a sun terrace and special 'meal nights' during peak season) and activities for children throughout school holidays. It's a 30-minute walk into the old centre of Colmar, where the main tourist office (03 89 20 68 92) is a good place to get your bearings. The main area that is crossed by canals of the river Lauch (which formerly served as the butcher's, tanner's and fishmonger's quarter) is now called "little Venice" and the most picturesque area of the town. There are no fewer than 6 different churches – all but one of which were built in the 13th-century – and a handful of museums. The Unterlinden Museum (03 89 20 15 50) is the most renowned of the lot, though a browse in the tourist office will help you make decisions. Elsewhere, head west into the Ballons des Vosges Nature Park (03 89 77 90 34) for hiking, biking and general outdoor fun in the hills. The bar-restaurant onside serves excellent homemade pizzas, along with a host of other snacks and drinks best enjoyed out on the terrace. It's only open over the May public holidays and through July and August. Outside of those times there are still plenty of great eateries in Horbourg Wihr (a short walk) and Colmar (a slightly longer walk but rewarding you with more choice). All year (except January and February). 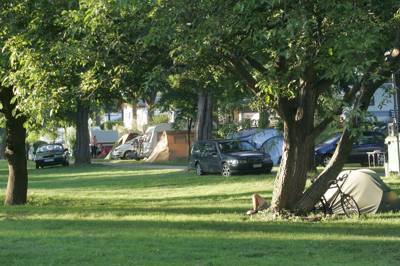 Camping pitches from €14 per night, including a pitch, 2 people, a vehicle and a tent or motorhome. Additional adults €3.90–€5.10; children under 2 years old free, and children between 2–7 years are free in low season and €3.30 in high season. Pets €2.40–€4.50. Glamping accommodation begins from €42 per night. From the centre of Colmar follow signs to Horbourg-Wihr. As you leave town you’ll cross a dual carriagway and the River Ill. The campsite is immidately on your right after the river.